vaccinations are not necessary and in fact can be harmful. diseases, in which the body sees its own tissue as foreign and attacks it. to it that their poodles are not over vaccinated. (which causes canine hepatitis, an infectious liver disease). show that it is necessary. However, evidence does exist to show that it is not necessary. studies have been conducted longer than that. nervous system — they are not benign. the core diseases you're testing for, don't give the shot! vaccine complicates efforts to test whether your dog has contracted the disease. do occur in your area, consider whether your poodle is actually at risk. contracting the disease against the risk of chronic illness caused by the vaccination itself. we first vaccinate at 7- 8 weeks old. We then suggest another booster at 14 months old. Please still take your dog to your vet for annual Wellness Check! must abide by the law. However, we do not suggest giving a rabies shot prior to 6 months old. 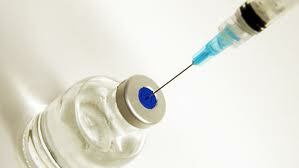 Always separate rabies vaccine from all other shots by 4 weeks. We never vaccinate pregnant females or females in estrus!